Metal Gear Solid: Peace Walker is a game I’ve been wanting to play for quite some time. It was built as a direct sequel to the critically acclaimed, Metal Gear Solid 3: Snake Eater. Having not owned a PSP during the game’s original release, I was unable to experience the next installment to Big Boss’s story, that was until it finally became available for console. 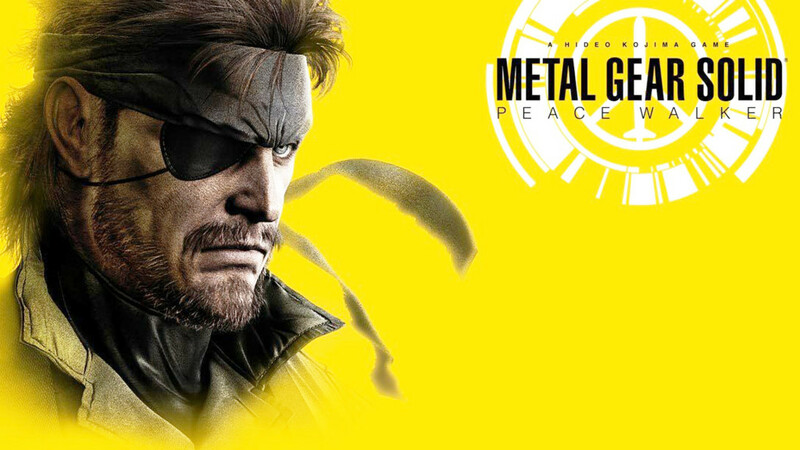 At first glance, Metal Gear Solid: Peace Walker generally would not be considered a main game in the series, but make no mistake; Peace Walker is an essential game in the Metal Gear series. Set 10 years after Snake Eater, Costa Rica, is now a defenseless nation. The nation is being invaded by an unknown military force equipped with a new mobile nuclear warhead known as; “Peace Walker”. Snake and his mercenary unit, MSF are hired to stop Peace Walker before it has a chance to deploy. Peace Walker took a different visual approach than other games in the series. All of the cut-scenes were presented in an animated comic book style that I felt was disengaging to the story. It was hard to get a sense of the environment and engagement between characters when much of those aspects were cut off from the viewer. I have never been a fan of the artwork style that’s traditionally been used for Metal Gear Solid comics, so that didn’t help. The game-play approach to Peace Walker was another alteration to the series, but this alteration was something that I enjoyed. Instead of one big mission, the story is divided into smaller missions that can be replayed after each one is completed. There are also a couple hundred side missions that can be played. Theyare kind of like the VR missions from Metal Gear Solid, but set in real environments within the main game. It’s important to play these missions because one of the main goals in the game is to build Big Boss’s mercenary unit, Militaires Sans Frontières (MSF). The better constructed your army is, the more money you gain to purchase and upgrade new weapons and gadgets. Everything you need to navigate through is located in you’re main hub called, Mother Base. Here you can form squads and send your troops/vehicles out on missions to gain more supplies. You can even build your own Metal Gear that can be sent on these missions. The amount of contend in this portion of Peace Walker is quite staggering. In fact, it can be a little intimidating early on, because there is little explanation on what everything means. During both the main and side quests, you have the ability to capture enemy soldiers to recruit to your side. Anytime an enemy is knocked unconscious or near death, you can launch them in the air with a balloon called the Fulton Recovery System. Each soldier in the game has different stats that are used to improve different divisions within Mother Base. Although I liked this system there was a problem about it that I couldn’t ignore. The game heavily encourages you to pursue nonlethal methods to complete missions. That’s perfectly fine except for the fact that there are tons of weapons that can be unlocked, and I found myself never wanting to use these weapons because using my silenced tranquilizer gun was the best method. The only time I needed to use extra firepower was during boss battles. Speaking of boss battles, Peace Walker’s boss battles are on a monumental scale. Instead of fighting various, unique characters as bosses, you are pitted against massive AI battle units that were prototypes to Metal Gear Peace Walker. I often found myself frustrated during these battles, not because they weren’t fun, but because of the hindrances to the game mechanics themselves. Before each mission you can equip Snake with a uniform. Different uniforms carry various limits on what items you can carry. Depending on the uniform I could only carry 2 or 3 weapons at a time with limited ammo. Through another item that let me deploy more supplies, I constantly had to scrounge for more ammo. The problem that added to the frustrations was the terrible controls. The transition between reloading and changing weapons was painfully clunky and slow. Often, there were times I would take massive damage because I was at the mercy of changing weapons or reloading. If you take damage during reloads, the reload doesn’t register, forcing you to reload again. Out of everything, I would say this was my only real complaint about the game. Peace Walker was converted into HD when it was released on the consoles. It obviously looks better, but still looks like an early PS2 game. It was originally made for the PSP, so it gets a pass. Overall, it was not bad, but not the strongest out of the series. Is it the best game in the series? No, but it’s certainly an enjoyable game packed with lots to do to keep you entertained. There are some secrets in the game that are major plot points moving forward. To avoid major spoilers, I would advice you to keep playing the main missions after you beat the main quest, because it’s not over yet. To anyone whom plans to play the new Metal Gear Solid V: The Phantom Pain, I advise you to play Peace Walker. It appears there will be major characters returning that were introduced in Peace Walker, as well as the continuation of key events. Is it the best game in the series? No, but it’s certainly an enjoyable game packed with lots to do to keep you entertained.